Knee problems behind him James DeGale was at the Glow Bluewater in Kent and live on terrestrial TV taking on Dyah Davis in defence of his WBC Silver title – and he didn’t disappoint the crowds in attendance or the viewing audience at home with a unanimous points win over his American opponent. The first round started with both boxers feeling out each other, without taking too many chances these two counter punchers were testing each other skills. DeGale, 27, began to warm into the fight in the second and began to put on a slick show, he looked impressive and ready to make a statement. Before the fight he spoke of his frustration at not getting a world title chance, here he had a chance to prove he was worthy of one. Second round, there was good movement from DeGale, switch hitting he begins to land cleanly, a big left cross lands and the Londoner takes over proceedings with some nice work, hitting and not being hit he was dominating the action, pivoting and twisting, his distance was perfect and Davis had no answer to the home fighters questions. The pace continued in DeGales favour, Davis had a better 6th and 7th and could have nicked them, but in the 8th he exploded a straight right which smashed into DeGales nose, if it didn’t break it, it bloodied it bad and it was Davis’ first real success, and he was looking more comfortable than he had for the first half of the contest. After a great start it was worrying to see GeGale slacking off and giving his opponent a way back. The nose may have been bothering him, and he looked like he may be having a breather, but in the 10th he came back stronger to take control of the fight again, a big over-hand left in the session was the feature punch and the shot when timed correctly was a potent weapon for him. Going into the 11th round it was uncharted territory for the 32 year old Davis, he continued to stalk DeGale and try and get a foothold back in the fight, cheered on by his vocal corner men, but going into the last round he required a knockout to win the fight, with DeGale clearly winning the fight. DeGale went through the motions in the last round and upped the gears again he was now in full control and saw the fight out, dancing around and lifting in hands in triumph and taunting Davis. When the bell sounded to end the fight it was a formality DeGale had won and the judges scorecards confirmed it, all three having it 118-110 in the British boxers favour. 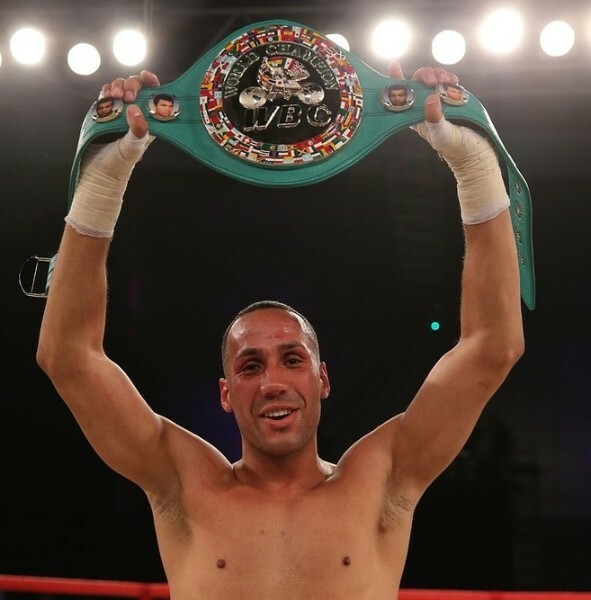 DeGale take his record to 17-1, 11 KOs and hopes to get in the world title mix in 2014.